What's the one wedding trend I've seen more and more of lately and am very happy to have it stick around? Spaces full of character, texture, custom details and just the right amount of urban grit to keep it real... I'm talking about unique industrial wedding venues with a hint of sweet romance. Unique details. Memorable views. Natural light from expansive windows or skylights. Historic architecture (think warehouses, mills, lofts, galleries, breweries and greenhouses!). The fabric of a vibrant city. 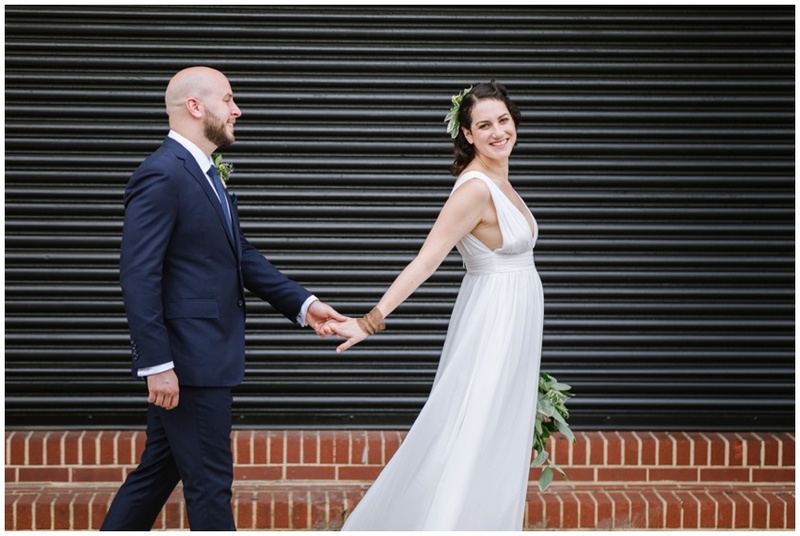 Where are all my off-beat, industrial, boho chic loving brides and couples? 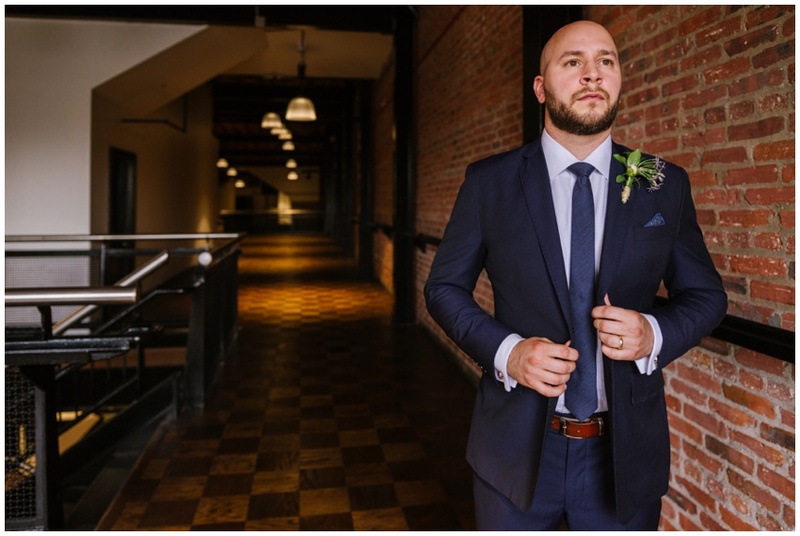 If you can't get enough of the exposed brick, mixed metal, quarried stone, worn wood/concrete floors and adaptive reuse vibe, you're going to love these new wedding venue gems! Heck, if we could get married all over again, it would absolutely be at one of these amazing spots! These spaces are complete blank canvases waiting to have your story and personality infused into them - whether you go the minimalist route leaving them bare and raw or dress them up for a moody, luxuriously lush feel, you really can't go wrong!! 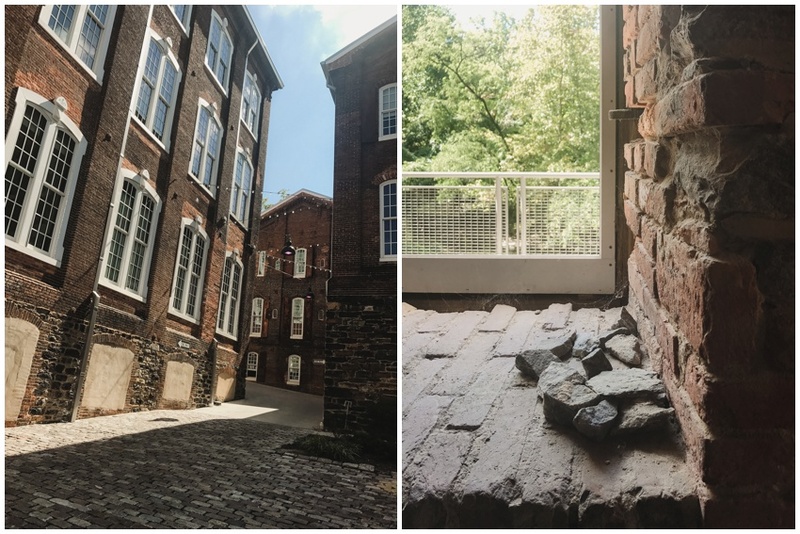 This intimate event space is breathtaking... filled with exposed structure, stone walls and gorgeous views of the Jones Falls, this venue will have you constantly having to remind yourself that yes, you're still in Baltimore... ;) one of Charm City's hidden gems of an event space, for sure!! In the heart of downtown Baltimore, this large (24,000 SF!) yet flexible industrial space was recently renovated to host weddings, gatherings of all sizes and gala events. It started hosting events in January 2018 and hasn't looked back since! In a previous life, the space was home to the bar, Hammerjack's (among other unique uses over the course of its life). Now under new management and ownership, the space was cleaned up and refinished, but all of the natural light pouring in from above and exposed brick walls remains. Working with a space of this size offers so many ways to customize your event. The building is essentially 2 large areas with separate entries off the street (great for guest arrival!) that can be divided up as necessary. You could easily have your ceremony and cocktail hour on one side and reception on the other... there are still going to be 2 bar areas, one on each side! While touring the space while renovations were underway, I was able to head up to the outdoor rooftop area. This space while AWESOME and huge, with great views of downtown, isn't ready to occupy right away. It'll eventually be another unique space to take photos and maybe even have a rooftop ceremony and cocktail hour... how many other Baltimore wedding venues offer that!?! I absolutely love that this Ellicott City venue celebrates open, honest and friendly policies and is inclusive to all! The space is full of rustic, industrial elegance and showcases all the charm and character that is unique to the historic Ellicott City area: stone foundation walls, polished concrete floors, bright and elegant barn doors, shiplap walls and large, industrial corner windows - all elements that come together to create a blank slate ready for your creative vision! This wedding and event venue just north of the heart of Baltimore is near and dear to my heart. I live a few blocks away and am amazed at the transformation it has undergone from an old car dealership to a kitchen incubator space on the ground floor (hey, B-More Kitchen friends!) and an event space up above, aptly titled the Accelerator Space! The 'wild and free' styled shoot I designed and photographed was recently featured on Baltimore Bride and I couldn't be more proud to have worked with a dream team of vendors, including Moore & Co Event Stylists, Eleven Courses Catering and Blush Floral Design Studio! White walls, exposed structure, original wood floors, the BEST natural light and an amazing restored machinery element hanging near the main entrance to the space are just some of the gorgeous touches found in the space. The exterior patio right off of the event space is enclosed with warm ipe wood and can easily host a small ceremony and/or your cocktail hour. Contemporary exterior signage and blue painted brick walls form a strong wayfinding element along the side of the building and speaking of walls, my favorite wall treatment (maybe ever?) can be found on the metal feature wall within the space - restored from a local area barn, the metal panels are SO fun as a backdrop for portraits and even more amazing in person! If you love the feel of a historic space that has been transformed with modern amenities and will allow you to craft a unique vision that will leave your guests wowed and overwhelmed by how far Baltimore has come, these 4 new spaces should be added to your list of wedding venues to consider and TOUR! Once you've toured them and appreciated them for yourself, I would be honored to share my creative vision with you and photograph a wedding day that is as unique as your story and relationship!